Binder & Haupt: What made you decide to set up the Sharjah Art Foundation in 2009? Hoor Al Qasimi: When I began working on the Biennial in 2003, we also started a residency program, and set up other activities including the commissioning of new works. But it was confusing having all of these programmes taking place under the auspices of a Biennial, which is essentially an exhibition that happens every two years and has its own identity, curator and curatorial concept. The challenge for us was to consider how we could make these activities independent and yet still part of the Biennial, and at the same time how to create a sustainable programme for our local audience when there is no Biennial? You need to engage with the audience throughout the year, and the best way to do that is to run programmes under a type of organisational structure such as the Sharjah Art Foundation. Binder & Haupt: Is the Sharjah Art Foundation also under the Department of Culture and Information? How does it interact with other art institutions in Sharjah? Hoor Al Qasimi: The Sharjah Art Foundation is an independent organisation but we continue to be supported by the Department of Culture and Information. We focus primarily on contemporary visual art, as well as on performance, music, film, anything that relates to contemporary art depending on the artists we work with. Then in the case of most exhibitions – whether of contemporary art or from different periods – these will generally fall under the Sharjah Museums Department. We actually work more like a Kunsthalle with many different spaces that allow us to programme site-specifically. Additionally, there is the Sharjah Art Directorate with its own programming, festivals and workshops. It is important to have these different, but in a way complementary, approaches and also to have the opportunity to work together or alongside each other when that is appropriate. Binder & Haupt: Does the Sharjah Art Foundation use the Arts Museum only during the Biennial or do you present there also other kinds of exhibitions? Hoor Al Qasimi: We typically only use the Arts Museum during the Biennial, and the same is true with the Calligraphy Area, where, for example, we have used the Dar al Nadwa building for the March Meeting. We have our own venues. Here in the Arts Area, we use Bait al Serkal and the Collection's Building. Bait al Shamsi is run by the Sharjah Art Directorate, but we have started to use three galleries along the front of the building. 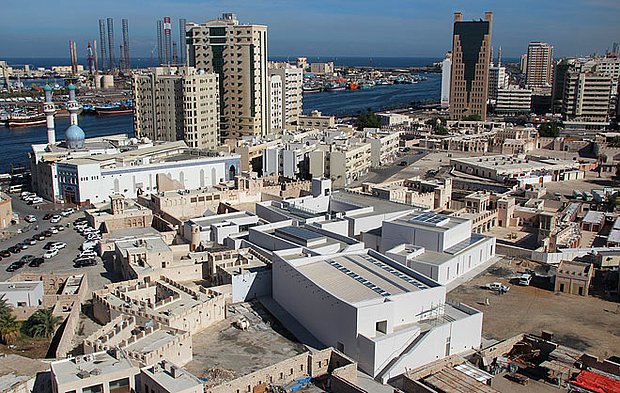 And in March 2013, during Sharjah Biennial 11, we'll inaugurate our 5 new SAF Art Spaces in the Heritage Area. Binder & Haupt: These new SAF Art Spaces are very exciting in their architectural design, and very unique in the way they keep the medina-like structure of the area, use traditional materials, and yet offer the most advanced facilities to display contemporary art. How did you conceive these new Spaces and when did their development started? Hoor Al Qasimi: We began working with spaces in the Arts and Heritage areas around 2005 for SB7. There were a number of reasons for this. Firstly, we wanted to move away from the Expo Centre where the Biennial originally took place and into the area where the museums were located, and secondly because artists seemed to enjoy working with the range of exhibition spaces in this area -- not only with the buildings but the courtyards and open public squares. Over time this experience has become a fundamental part of how we work – this idea of engagement with the site and the community. Another important reason was that over time as the work of the Biennial expanded and necessitated the formation of the Foundation, we have also been able to develop a range of year-round programmes, such as exhibitions, screenings, education and outreach programmes – and it became clear that our work would benefit from the facilities that new buildings, with their scale and technical specifications, could offer us. We also believe it will help create an even stronger relationship with our community. Binder & Haupt: Sharjah has a longer history of visual arts than its neighbours, with the headquarters of the Emirate's Fine Arts Society established here in 1981, and the important role played by the Sharjah Biennial since its foundation in 1993. And most of the artists used to live here in Sharjah as well. How do you deal with this history, and with your local artists in relation to the Foundation's international activities? Hoor Al Qasimi: We are fortunate in Sharjah to have this history and a long tradition of cultural activities. This has meant that we have a variety of ways we can work with the artists and audiences. In terms of what we show and how we select artists -- for the Foundation, in the first place, we have to consider the quality of work. Whether it is for the Biennial or for one of our regular exhibitions, the artists have to be selected by the curator and their work has to fit in with the curatorial concept. Artists shouldn’t expect a curator to choose them just because they are local. And most artists realise that the Biennial has built a reputation on the basis of the high quality of the work selected. I think this encourages them to work harder. Last year Abdullah Alsaadi, Ebtisam AbdulAziz were selected for the Biennial, and this year we have Nasir Nasrallah. As a Foundation you need to be able to offer constant support, that's why, for example, when artists from other countries come to the Biennial, we invite students or young artists to work with them as interns, because the best education is to work together with experienced artists. And artists in residence stay here, in Bait al-Shamsi, next to the studios where local artists are and next to the Emirates Fine Arts Society. We try to work with these different local organisations to encourage and support them. Additionally, we invite local artists to give workshops for students and children. For example Nasir Nasrallah and Reem Falaknaz have organised many workshops for the Foundation. Binder & Haupt: You are in a very special situation because you are an artist yourself and also educated as a curator, so you have both perspectives and empathies. This must be very useful for your work. Hoor Al Qasimi: Yes, it makes everything more natural. Growing up in the arts and going to art school, then curating the Biennial as an artist, and then doing my MA in curating, I do see both sides. It's confusing sometimes, of course, when I try to focus on my own artwork, because I can't switch off the other side, it's always working. But at the same time it makes it easier for me to think about and to explain what we are doing at the Foundation. I think even people that work with us in the office now discern well what is "very SAF" or what is "not very SAF", there has been a gradual development of our identity as an institution. Binder & Haupt: … like a style of doing things? Hoor Al Qasimi: Yes, there is a style that you can see, there is a certain type of design, there is a kind of work ethic, there is a sense of which projects we would like to get involved with or not, something commercial is not what would interest us, nor creating things that are just spectacle and nothing more. We do a lot of work based on research, we have started a research project into the visual identity of the UAE. We like artists coming to Sharjah to research the city and do something related to their experience here. Projects like Rayyane Tabet's “Home on Neutral Ground” (2011) based on the Sharjah Cricket Stadium, really resonate with people here, because it's their history and they can see how it could be re-created or retold to produce something artistic, something they can think about. Binder & Haupt: In a recent conversation in Berlin in relation to art in public space, you told us that you are not so interested in monuments, rather in flexible and short-lived interventions. Can you elaborate again about this? 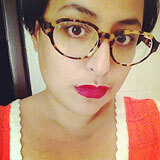 Hoor Al Qasimi: I don't like the word permanent very much. For example, with monuments that you walk past every day--at some point you end up not noticing them anymore. They just become a normal part of the landscape. So if you're trying to engage with your audience, it is more interesting to have thought-provoking interventions in public space, which are also challenging for us as curators or as an institution. They attract people on the streets who might pass by and wonder what's happening there, and perhaps start up a conversation. We have a similar attitude about our collection. We are not planning to have it on permanent display, because we want people to keep coming back. We curate an exhibition from the collection once a year and so people are able to see the works in a different light--since the same piece you showed three years ago in one exhibition could appear totally different in a new context. Because we have such a small community – we are nearly 950,000 in the Emirate of Sharjah - you have to constantly be doing things and be active to keep them mentally and creatively stimulated and engaged. Binder & Haupt: Who is your audience here? Hoor Al Qasimi: It's difficult to say because we're constantly working to attract different audiences and communities. For example, in this neighborhood, there is a large South Asian community, and then you also have the old local community living around the Heritage Area, and the artists of course. Then we have the students who come, and schools, we have people coming from Dubai or Abu Dhabi, tourists come, professionals come, it's very mixed. It's difficult to pinpoint our audience and at the same time we don't want to limit what we do. All of our programmes are free and open to the public, we are very inclusive even the openings are open to the public, unlike exclusive private views. We often have people coming in while shopping in the markets nearby. But at the same time, a lot of the local people are moving out of this area. So we have to intensify our outreach. We are talking with the universities about having one of our new spaces that they could use for workshops or talks, or maybe have a classroom there once a week, which also would be beneficial for them because they are quite isolated in the University campus. Especially important for us are the schools because if you engage with the children they will bring their parents. Binder & Haupt: What developments in the audience do you acknowledge have taken place in the last 10 years, since you have been doing the Sharjah Biennial? Hoor Al Qasimi: I've seen a development in the way people think about contemporary art. It's very interesting for me to see that in those 10 years the young generation has developed a completely different vision of what art is. For a lot of the students at the American University or at the University of Sharjah who are studying art, architecture or design, the Biennial has been a kind of inspiration and an event that they grew up with. Binder & Haupt: Tell us about your Commissions and Production Grants Program. Hoor Al Qasimi: We produce a large number of artworks for the Biennial as commissions, but we have also a Production Programme which offers production grants through an open call every two years. This Programmes offers funding opportunities to artists who are not necessarily in the Biennial. Two projects funded by the Production Programme in 2010 premiered at the last Documenta in Kassel (CAMP and Bani Abidi). In 2012 we selected Sean Gullette, Mario Rizzi, and Lindsay Seers. And this type of regular support for artists is another way for SAF to be part of the artistic process. Of course we want to support Arab artists and local artists but these grants are strictly by application (last year we received about 200!) and the decision is made on the quality of the work, which has to convince the professional jury that we appoint. Binder & Haupt: What is also important to stress is that the works produced during this production grant are not going into the collection of the Sharjah Art Foundation. Hoor Al Qasimi: That's right, we don’t automatically purchase the work we fund. Binder & Haupt: And what about residencies, is there also a regular residency program apart from the artists staying to produce work for the Biennial? Hoor Al Qasimi: We always have artists in residence, this programme also started in 2003, but we are planning to establish writers' and curators' residencies, which will help create more of a community. This will give opportunities to young curators to come and spend time in this area. We haven't started on this programme yet, but this is also the type of thing I want to create. Additionally the studios we are planning to build in Al Hamriya are really interesting. This is not a residency programme, it will be just studios for local artists. We are working with a local architect Khaled al Najjar on this project. Binder & Haupt: But will these new studios be given on a grant basis? Because in Dubai, at Tashkeel for example, you have to pay, and quite a lot as we have heard. Hoor Al Qasimi: Yes, in fact that is one of the reasons why I thought of offering these studios. As an artist myself I know that you don't need that much, you need a room with a sink, and a toilet somewhere, and natural light would be nice, and Wi-Fi would be even better. And you don't want to have workshops all the time, it's a studio, for people to concentrate on their work. You can have a communal space where, for example, artists coming for the Biennial, or curators, could give a talk or workshop, but it's not for constant programming. Certain things are necessary of course but here there really are not enough studio spaces for artists. In the UAE there are places where you can pay to rent a studio, but then there is no element of control to ensure a level of professionalism and quality. We plan to have an application and selection process to help encourage artists to take this opportunity seriously. Binder & Haupt: It's interesting to see that when you talk about the audience you are inclusive and open but when it comes to the artists, you are very demanding in terms of the quality and commitment that you expect from them. Hoor Al Qasimi: Yes, exactly, but we are always encouraging people to do the best that they can. We don't simply say, you are not good enough, because one can always improve. Founded in 1993. Since 2003 fundamentally reoriented on the initiative and under the direction of Hoor Al Qasimi, introducing a new era for contemporary art in the Gulf. Created in 2009. Organizes the Biennial, and is in charge of an extensive and diverse program of residencies, production grants, commissions, exhibitions, events, research activities, publications, and a growing collection.